Exxon Mobil Corp has given final approval to an expansion that would nearly double the size of its 365,000 barrel-per-day (bpd) Beaumont, Texas, refinery, making it the largest in the United States, said two people familiar with the company's plans. The largest U.S. oil producer, which has been considering a third processing unit at the plant since at least 2014, has authorized financing for equipment needed to convert shale crude from its West Texas oilfields into precursors for gasoline, diesel, jet fuel and other refined products. The authorization is the final step to begin building a third crude distillation unit (CDU) that would process between 250,000 and 350,000 bpd of light crude at the refinery located 87 miles (140 km) east of Houston. With a 250,000 bpd CDU, the plant’s total capacity would reach 615,644 bpd, placing it ahead of the nation’s largest, Motiva Enterprises' 603,000 bpd refinery, in nearby Port Arthur, Texas. "It has been approved," said one of the people familiar with the refinery expansion. Employees have been asked to keep the approval confidential, said the person, who could not be identified because of the restrictions. The company has not publicly disclosed the cost of the expansion, which is part of a $20 billion investment program outlined in 2017 to increase its U.S. Gulf Coast manufacturing over 10 years. Exxon spokeswoman Sarah Nordin said on Monday she had no updates on the status of the project. In October, she had confirmed that site preparation work had begun in advance of a final decision. Last October, Exxon has said construction on the project was expected to begin this year after a final investment decision, and estimated the work would be completed in 2022. Exxon aims to triple its daily crude production in the Permian Basin of West Texas and New Mexico to 600,000 barrels of oil equivalent (boepd) by 2025. 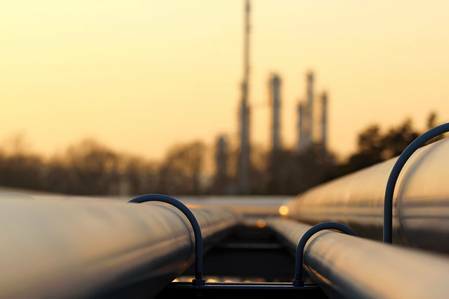 Last year it agreed to form a joint venture with Plains All American Pipeline LP that would build a pipeline able to carry 1 million bpd of oil to its refineries in Baytown and Beaumont.